Thousands of businesses and householders across nottingham and Derby use this service as a simple, cheaper and eco-friendly alternative to skip hire & skip bags. Junkporters man & van skip hire alternative is a professional and economic rubbish removal and disposal service that has you covered all the way. We typically respond within 24 hours of your call and often on the same day. Our man & van skip bag / skip hire alternative service can be obtained in Nottingham, Nottinghamshire, Derby, Derbyshire, Leicestershire. A skip bag is a canvas bag used like a small skip to get rid of waste. Suppliers include local DIY stores and local vendores. You buy the bags online or from DIY stores and builders merchants. They mainly come in two sizes – 1.0 cubic yard and 1.5 cubic yards. skip Bag also offers a 4.5 cubic yard bag. Once you have filled the bag, you contact the supplier or another waste disposal company to arrange a collection. Collection is by a lorry using a crane attachment and normally takes around a week from when you call. For access issues the bag needs to be placed close to the road and clear of things like trees or overhead wires that might obstruct the operation of the crane. If you put a skip bag on a public highway or pavement, you need to arrange and pay extra for a skip permit from your local council nottingham City council or Derby City Council. Skip bags are best suited for getting rid of small amounts of heavy, loose waste like rubble and soil. Electrical appliances, batteries, mattresses, paint and gas bottles are not allowed. 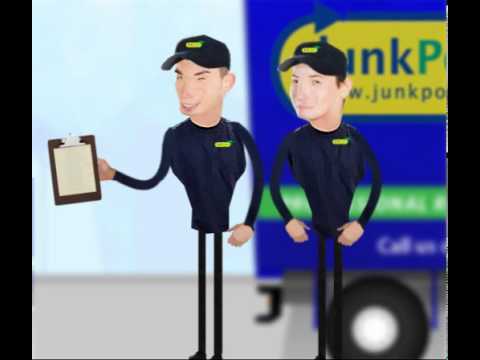 Junkporters skiphire is a fast and hassle-free service! Skip hire and skip bag take longer to fill.